Research says that newborn babies can cry up to 2 hours every day. If you are a new parent, it can feel like a lot longer than this. This is especially true if you are struggling to console or calm your newborn. The reality is that newborns cry, some more than others. Crying is their only way of communication. But how do you know how much crying is too much? The good news is as you get more comfortable with your new baby you will learn what each cry means. In the beginning, there is a lot of guess work involved. You will check the nappy, try food, rock to sleep, check temperature and hope that one of them works. 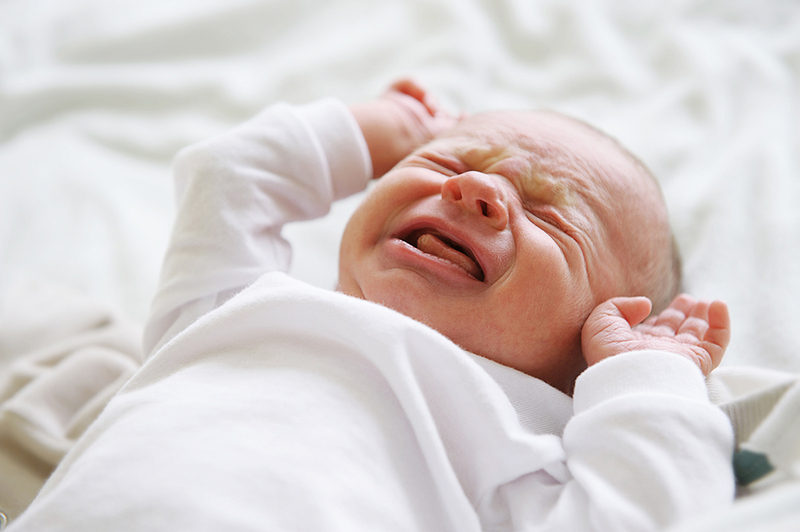 There can be other reasons why your baby cries excessively though. Tummy cramps or gas. If your baby is pumping his legs or arching his back or clenching his fist, he may have gas which is causing tummy cramps. You can help your little one to pass gas by bicycling his legs and pushing them up to his chest. The need to burb can also be a reason for crying. If you have fed your baby and they are crying and not settling, hold them over your shoulder and pat them. Your baby may be overtired. Some babies struggle to unwind and settle even when they are exhausted. Swaddling your newborn can help them to settle. Or you can pop them into your baby wrap. They may be in pain. This one is a little tough to asses but make sure your babies nappy isn’t too tight, that none of their clothes are causing obstructions or could be hurting them. What if it is none of these and your baby is still crying? Holding your baby could help. Sing to them or rock them, this may be all that they need. Dummies often can help to soothe a crying a baby. Baby wearing is a great way to calm an upset baby. Wrap them tightly against your chest and go for a walk with them. Being close to you combined with the movement will help them to relax. It is normal for a baby to cry. By the time they are 6 weeks your baby will be crying for around 3 hours every day, spread out over the day. If your baby is crying for more than this or they are crying unconsolably for more than an hour you need to seek professional assistance.